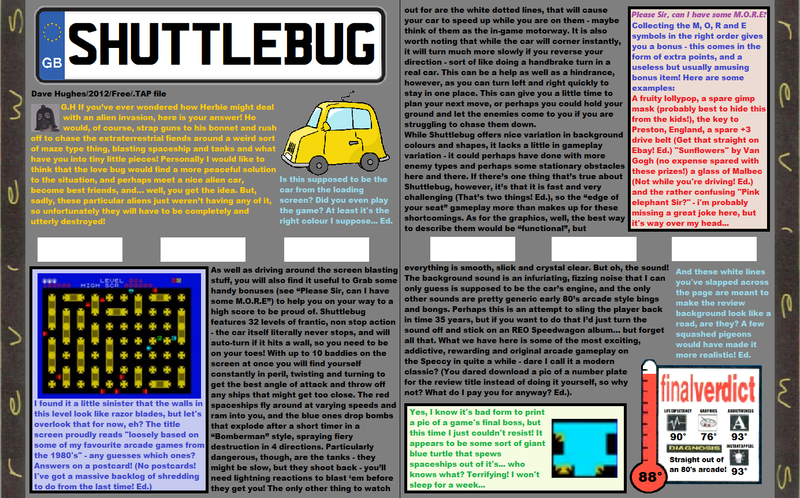 Shuttlebug, Dave Hughes' arcade maze blaster from 2012, get's the retro review treatment in this latest throwback to the 80's from the Games Helmet. 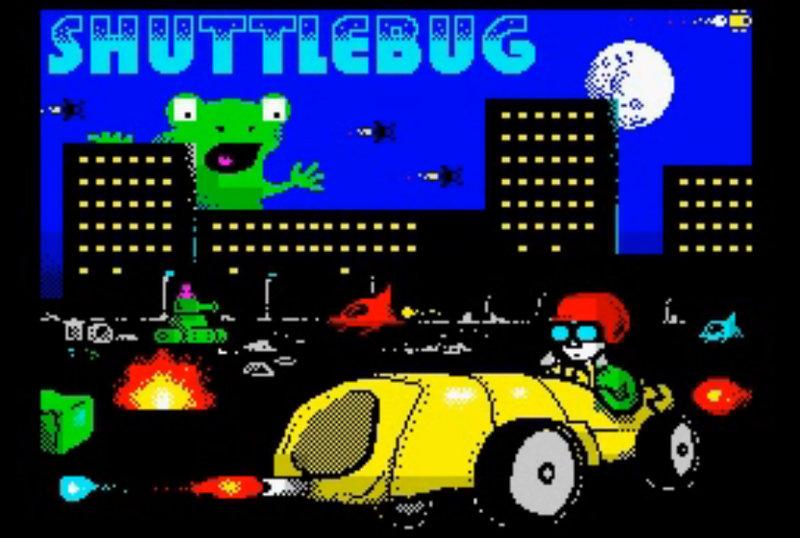 It's not easy to come up with a simple arcade game that hasn't already been done a million times, but Shuttlebug somehow manages to feel fresh, delivering classic arcade gameplay in spades. You might, however, want to turn the volume down - the sound is... challenging to the ear, shall we say?